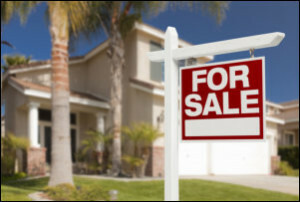 Your search is over if you have been trying to find a San Antonio, Texas Remax real estate agency with property for sale via the MLS. Without question, this is one of the best places to live in the state of Texas, and the real estate marketplace is extremely vibrant. Our San Antonio Remax real estate agents have many decades of combined experience, and we understand this market inside and out. You can rest assured that we will satisfy your needs and exceed your expectations when you engage our services, and you can check out our testimonials page if you don’t want to take our word for it. Many people relocate to this area because of all the fantastic things they hear about it. Others come because they have accepted job transfers, and members of the armed services can be newly stationed here. When you don’t know a lot about your new city, searching for property for sale can be confusing and intimidating. This is fully understandable, and our San Antonio Remax agency is equipped to provide you with all of the information you need to make an informed buying decision. One thing that is important to understand is that there are numerous outlying communities that are part of the local MLS network. These would include Spring Branch, New Braunfels, Alamo Heights, Schertz, Cibolo, Stone Oak, Inwood, and Boerne, Texas. We know a lot about these places, so our Remax agents can explain all the pros and cons to you in detail. We will be by your side as we show you the properties that you find through the MLS listings. When you settle on the property that is right for you, we will advocate your interests and stand by you through to the closing. You receive turnkey assistance from neighborly people when you work with us, and we love watching our clients walk away from the closing proudly with keys in hand. On the other side of the coin, if you would like to sell property in San Antonio, Spring Branch, New Braunfels, or any of the surrounding cities, an Allen Realty Remax agent will be standing by to add your home to the MLS listings. As we stated, we have unrivaled experience in this area, and our track record of sales success is second to none. Whenever you need a San Antonio Remax agent as a buyer or seller, we can be reached by phone at 210-340-3000, and our toll-free number is 888-209-2001.